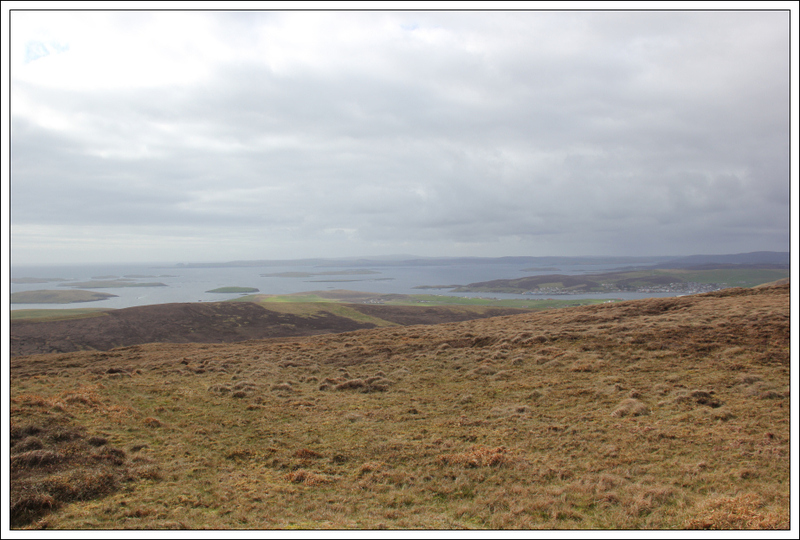 This report is an addendum to the fantastic walk Noss Head (Isle of Noss). 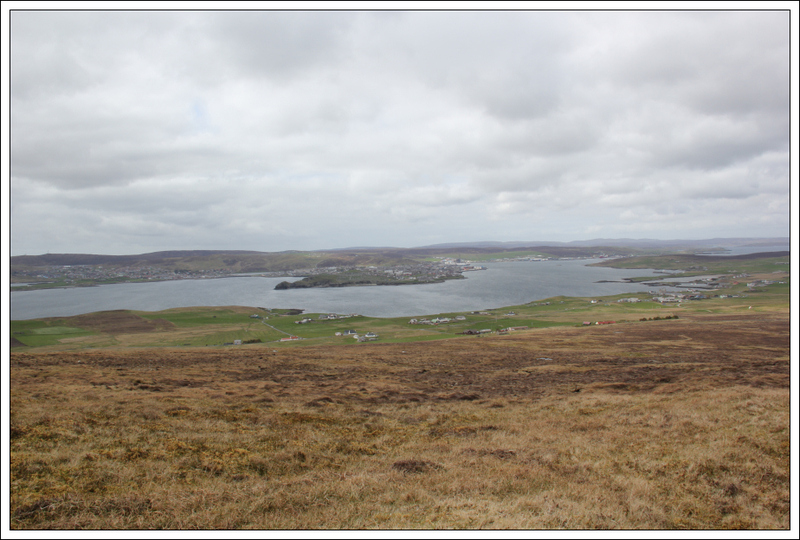 On returning to Bressay from the Isle of Noss we drove round to Glebe for an ascent of the Ward of Bressay. 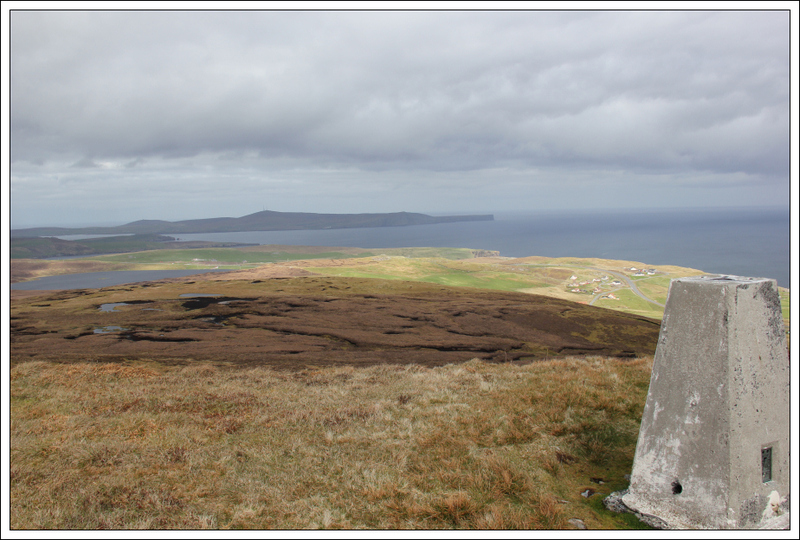 To ascend the Ward of Bressay we followed the track from Glebe up to the summit transmitter and trig point. 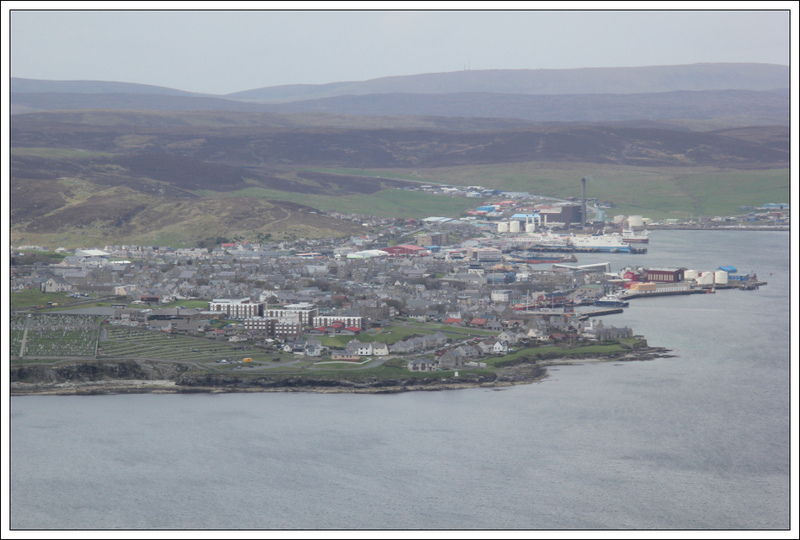 It was nice to look across to Lerwick during the ascent of the hill. 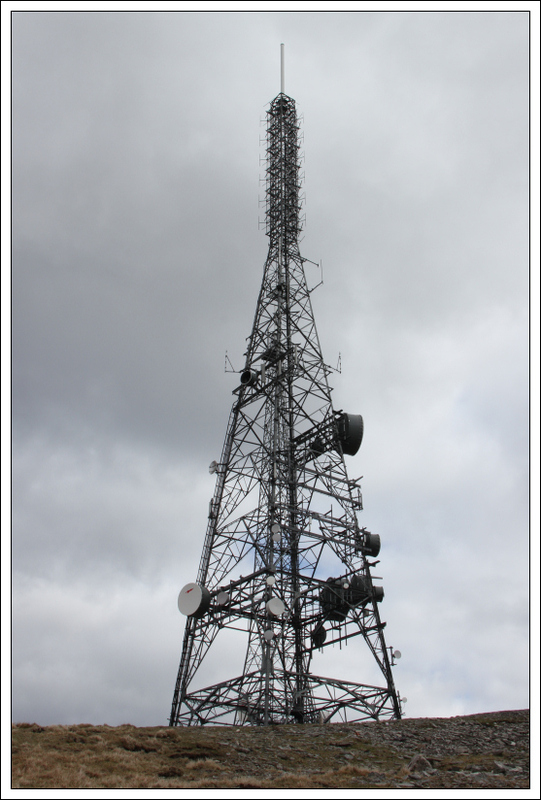 Yet another summit transmitter to add to my collection . 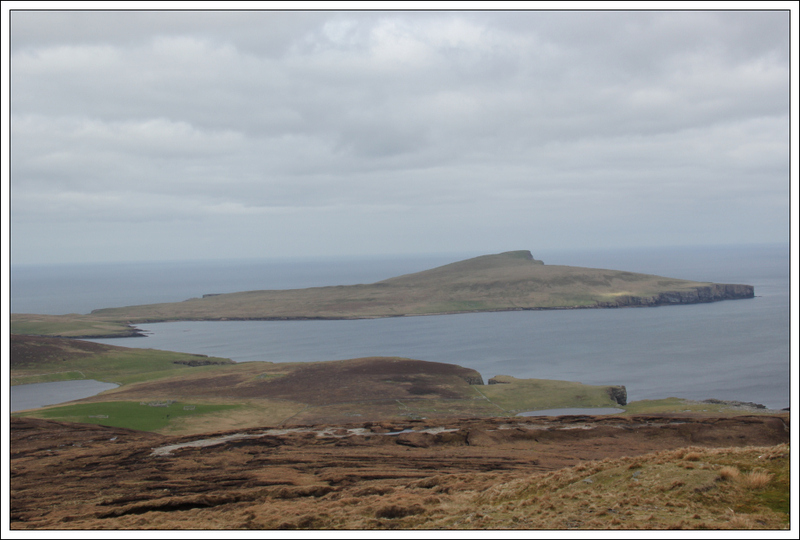 A short distance beyond the summit did provide great views across to the Isle of Noss. 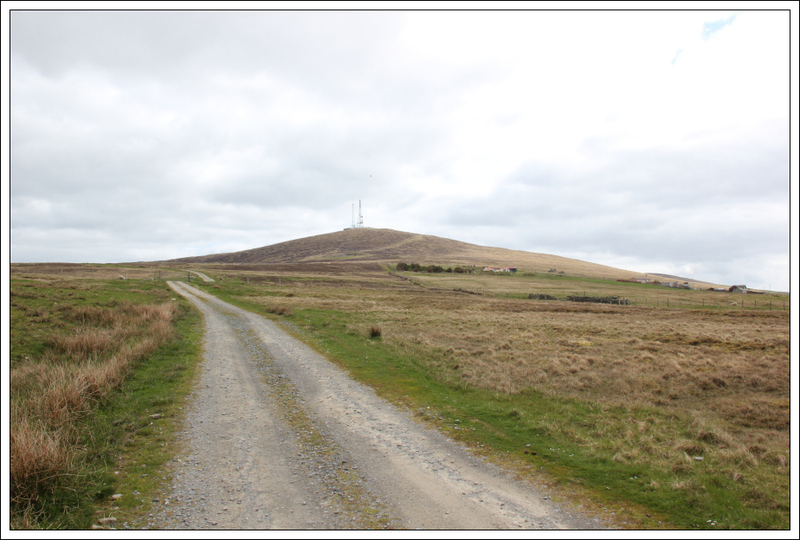 We returned to the car via the same route. 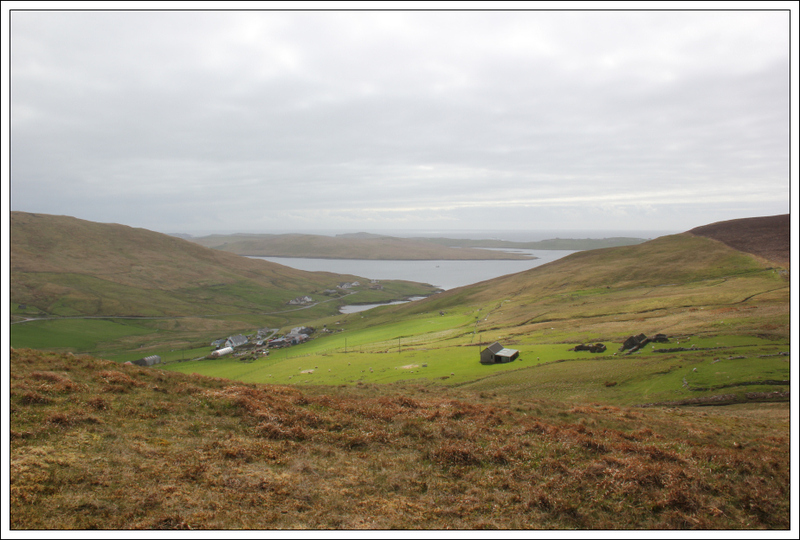 After catching the ferry back from Bressay to Lerwick, we drove to Quarff for an ascent of Scrae Field. 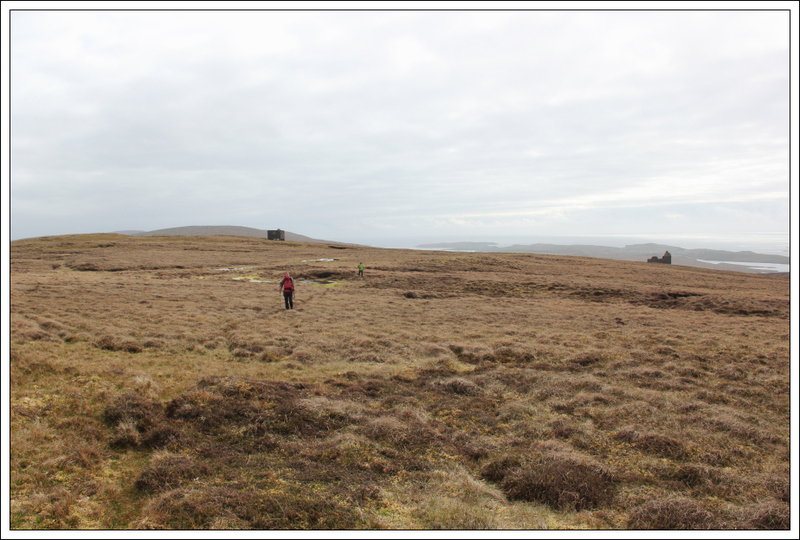 On studying the map for this one, the map appeared to show a footpath ascending from near the settlement of Quarff. On parking there we found no trace of a path. 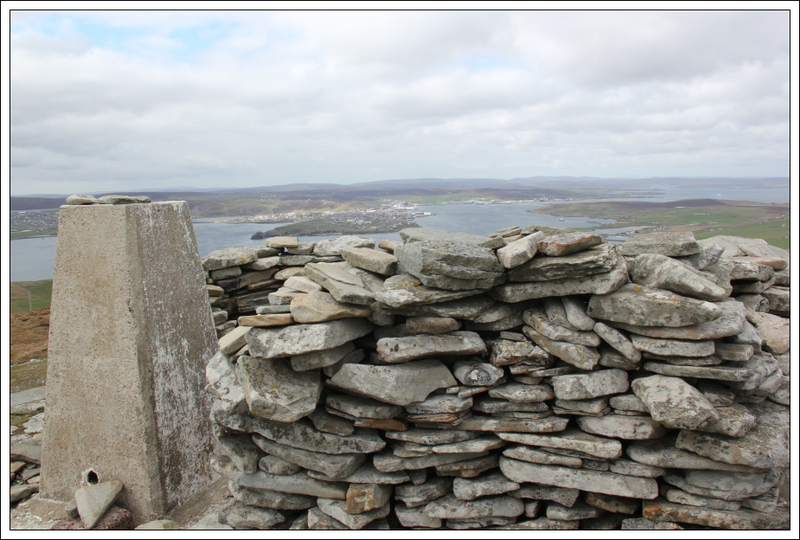 We did have to climb over three fences during the ascent and descent. 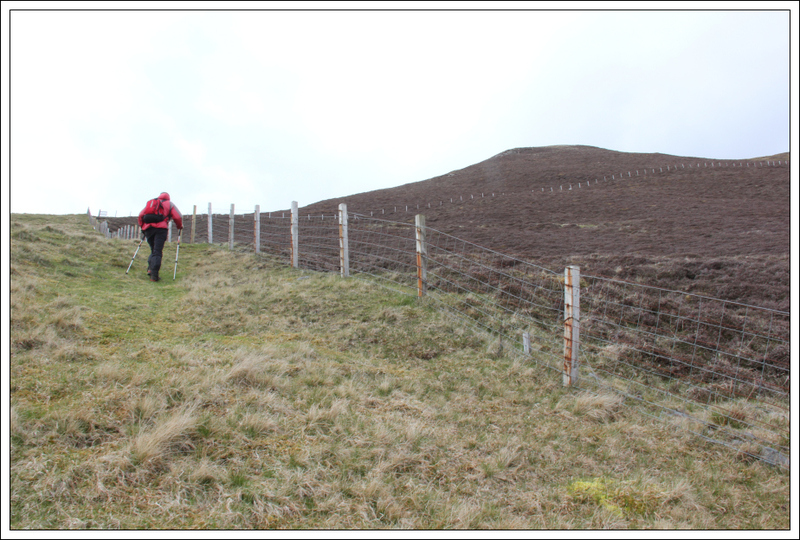 Either the footpath is no longer there or the 1:50000 map shows a fence (which is unusual for a 1:50000 map but more common on a 1:25000 map). 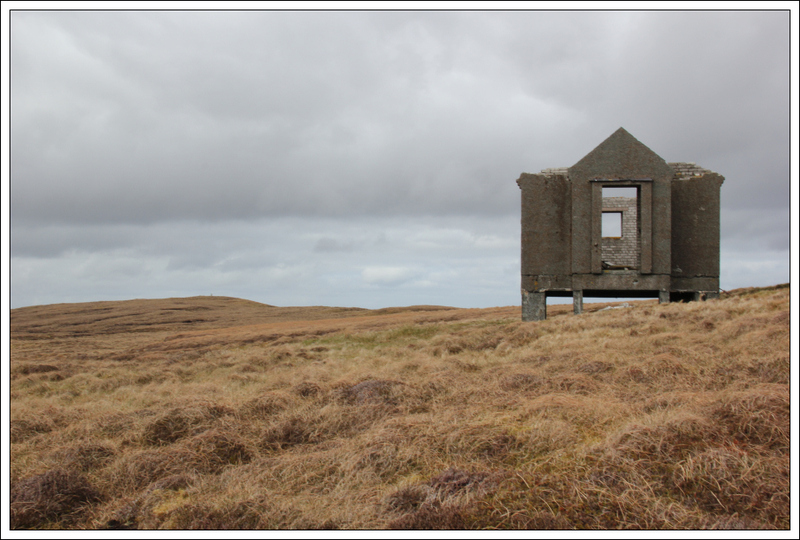 During the ascent we passed two strange ruin buildings built on breeze block stilts. I have no idea as to the previous purpose of these buildings – possibly a military relic from WWII. 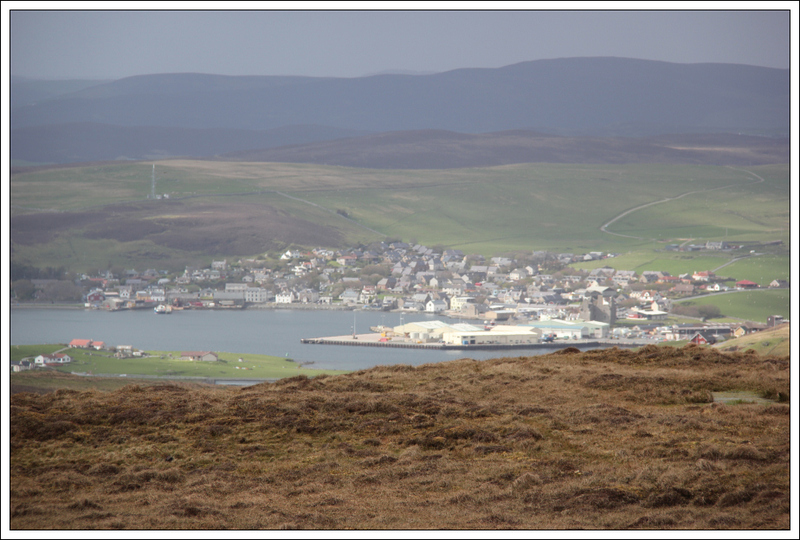 Scrae Field provides good views down to Scalloway. On reaching the summit we didn’t hang around for long. We returned to the car via the same route. 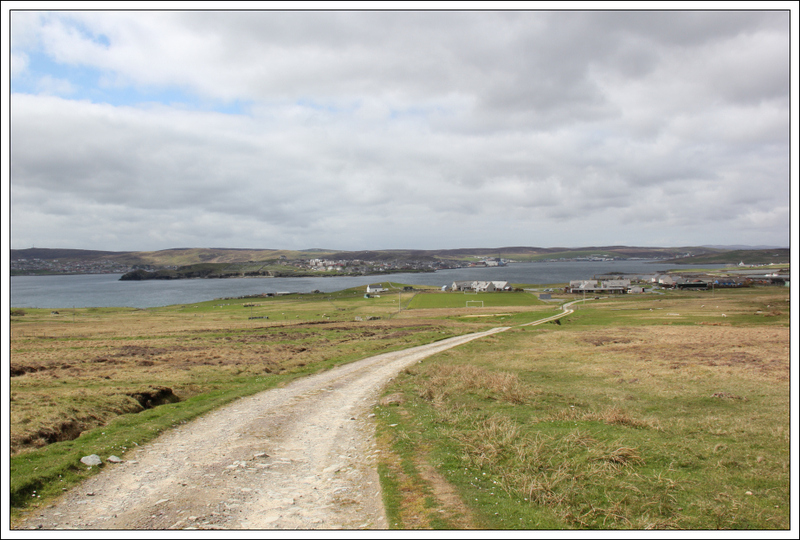 In comparison to our first hill of the day, Noss Head, Ward of Bressay and Scrae Field were somewhat dull .